In a world consumed with top layer interactions, false promises of hope and a distinctive stench of broken hearts comes a moment in time to rekindle true love; an essence of innocence and vulnerability in the transparent existence of true affection. 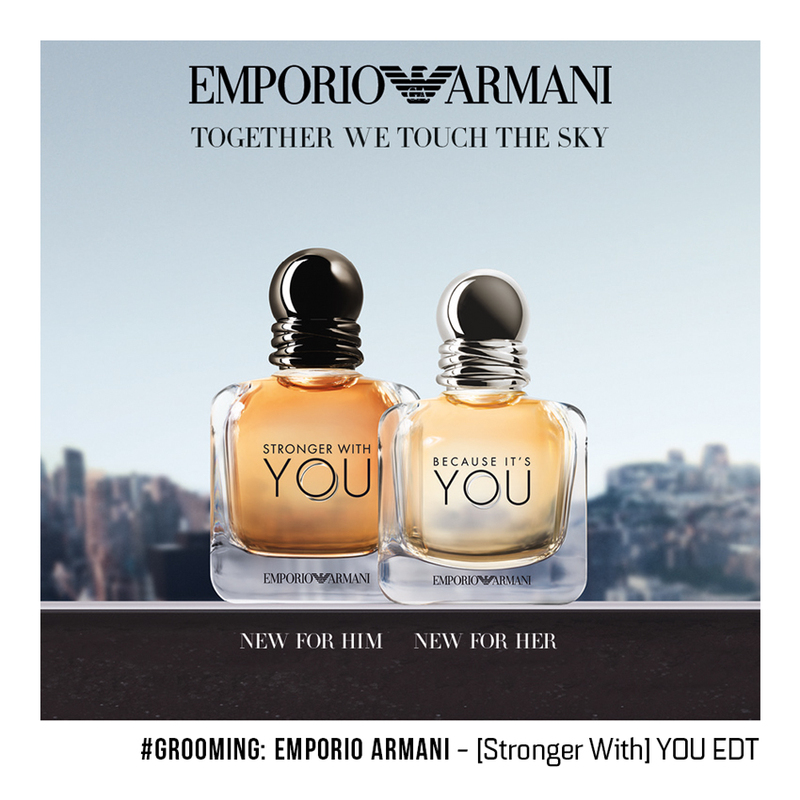 Emporio Armani, a diffusion brand created in 1981 as an urban, energetic, positive brand, enamored with youth and freedom, by the designer, Giorgio Armani, has launched the new fragrance line ‘Stronger Together’. 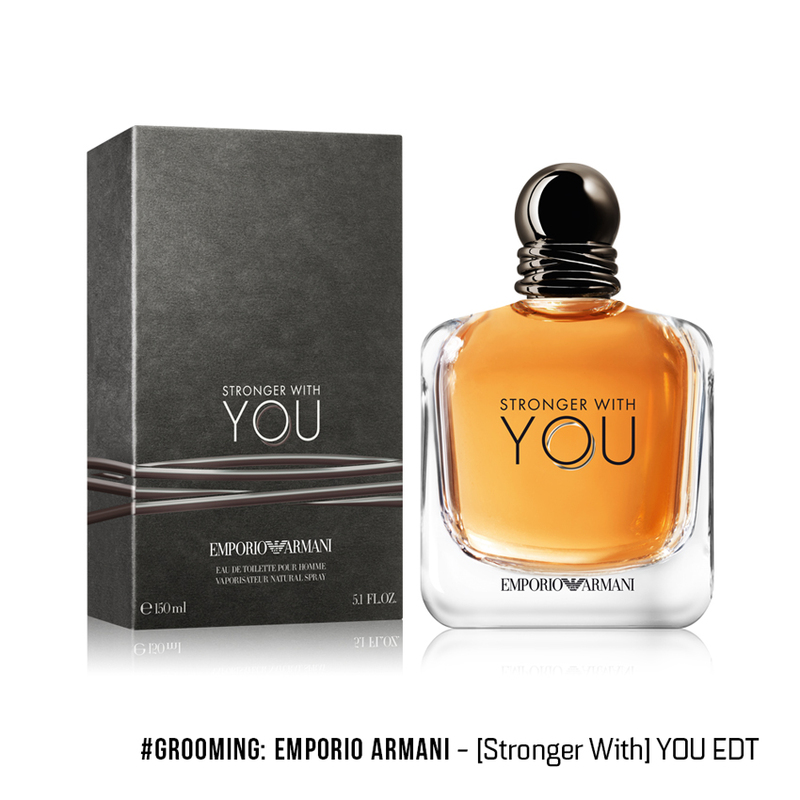 From the genesis from Emporio Armani fragrances in 1998, comes the men’s fragrance “Stronger with You” for Him. A delicate dance between feminine and masculine that encapsulates a tale of unconditional love drenched in an energy of modernity. The fragrance elicits confident elegance, uninhibited translucency, and surety of one’s own originality. Top notes include spicy accord, a mixture of cardamom and pink peppercorn, garnished with violet leaves. Its youth is dramatically played out by the sage in its heart and all of this is grounded by the sheer sensuality of the smoky Vanilla Jungle essence. No man can be blamed, nor judged, for falling in love with this new fragrance. Its magnetism resonates with sugar-coated chestnut accords, reserved cheeky experiences that drip of intimacy inclusions and a barrel of perfectly crafted whiskey or cognac. Generously masculine, this fragrance communicates love, challenges conformity and seduces the romantic at heart. 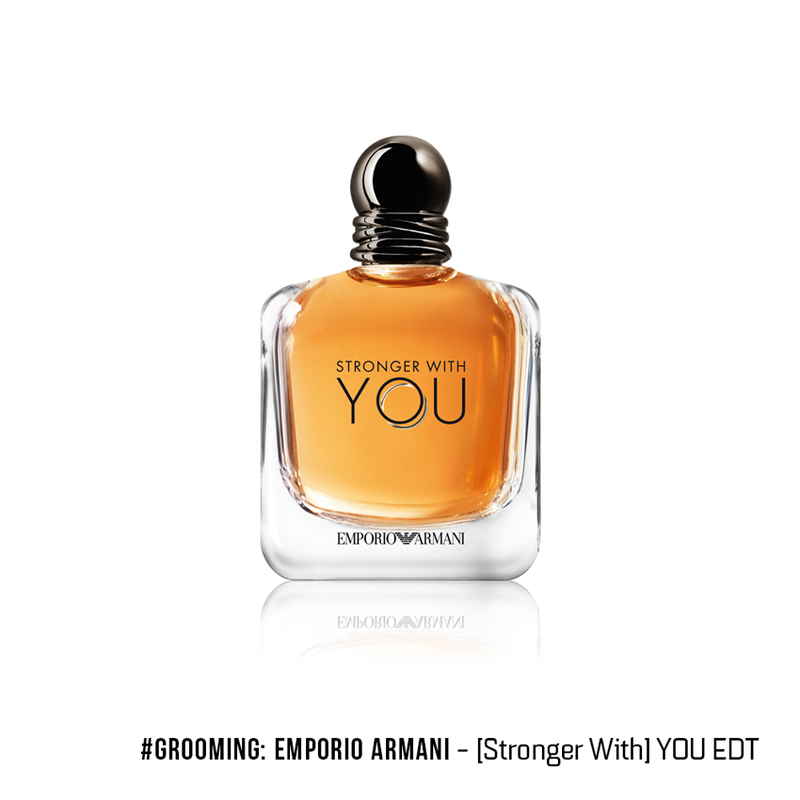 There is yet to be a fragrance from Emporio Armani as enchanting as Stronger with You for Him for men. The new Emporio Armani fragrance is available now at all leading fragrance counters nationwide. Follow the brand and the story on Instagram, Facebook, and YouTube.